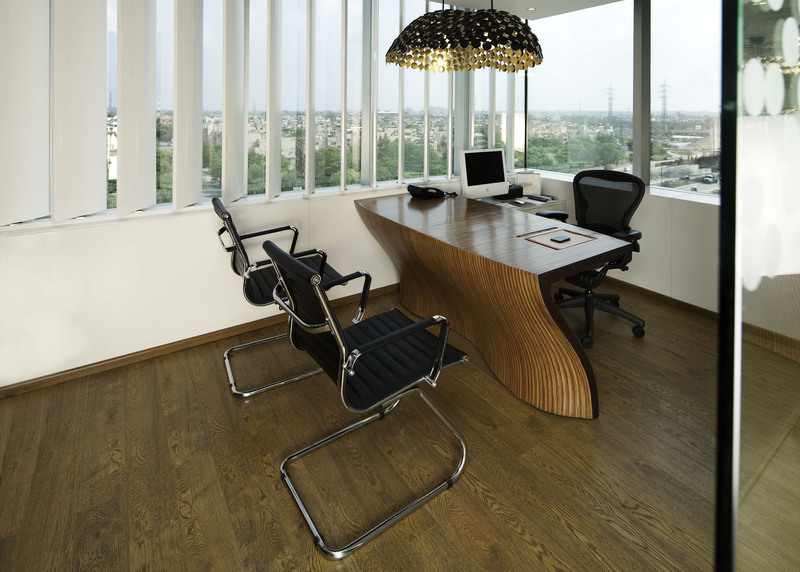 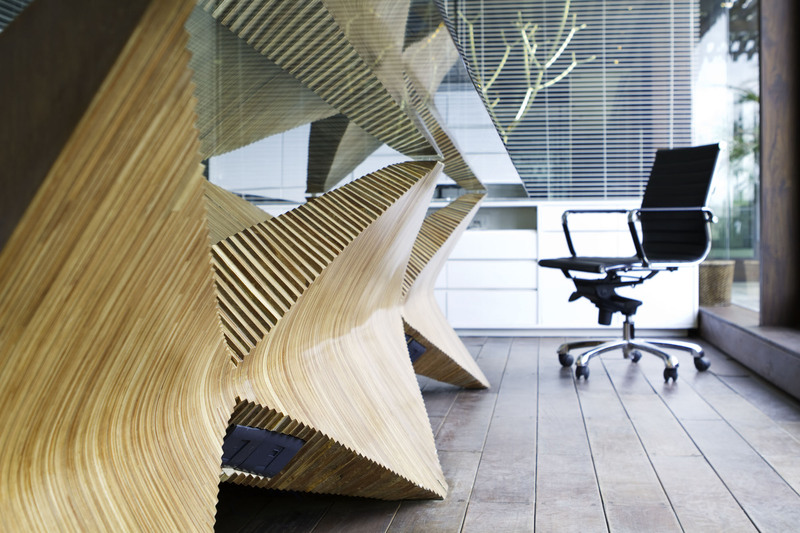 Office for MKM Group, New Delhi by Studio Lotus - ArchitectureLive! 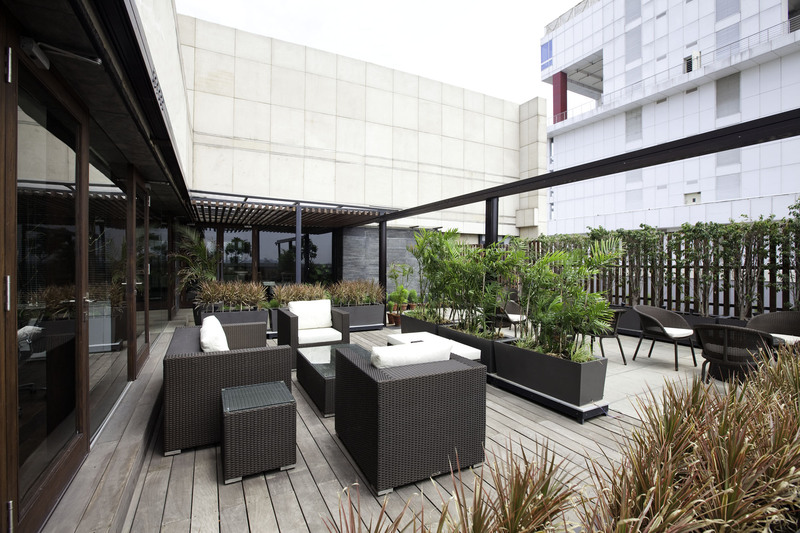 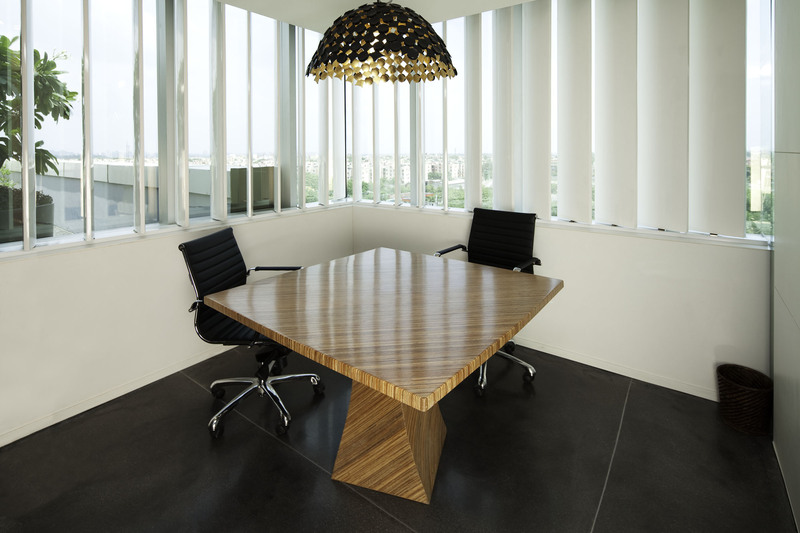 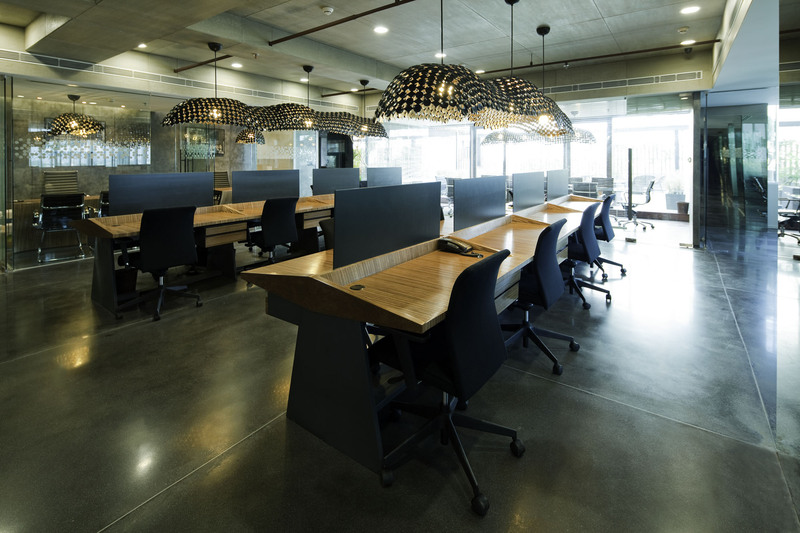 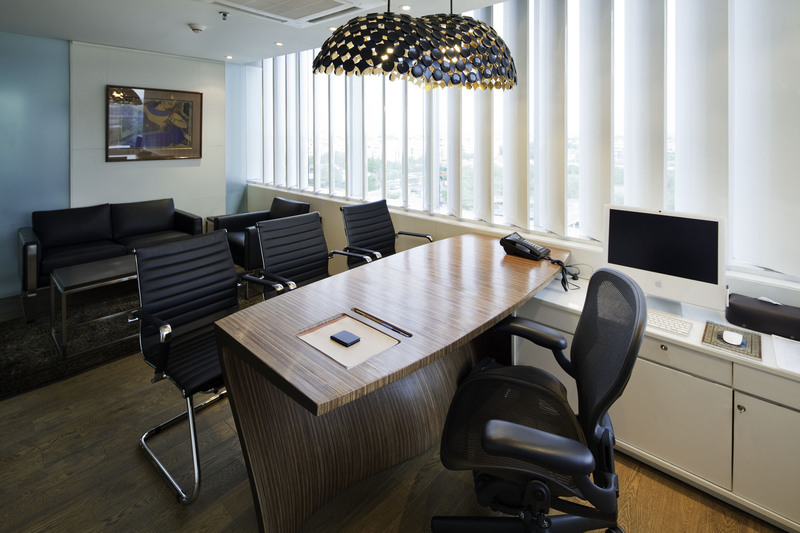 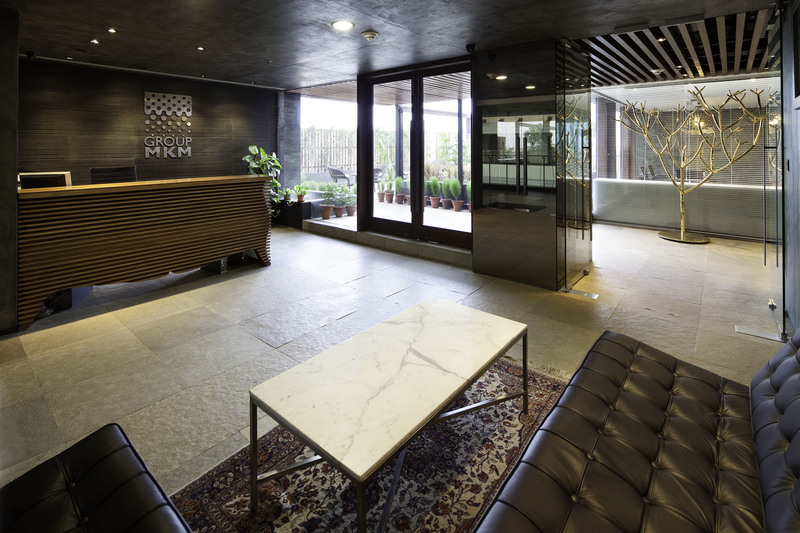 The corporate head office for the MKM group works on the idea of transparency, and a shared workspace. 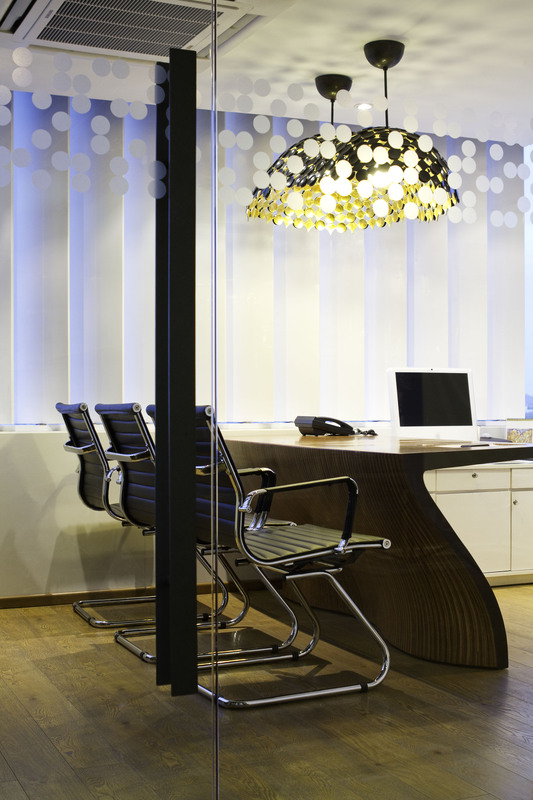 Peripheral cabins in glass frame a notional central ‘courtyard’ like space that opens out to the green terrace through the glass walls of the boardroom. 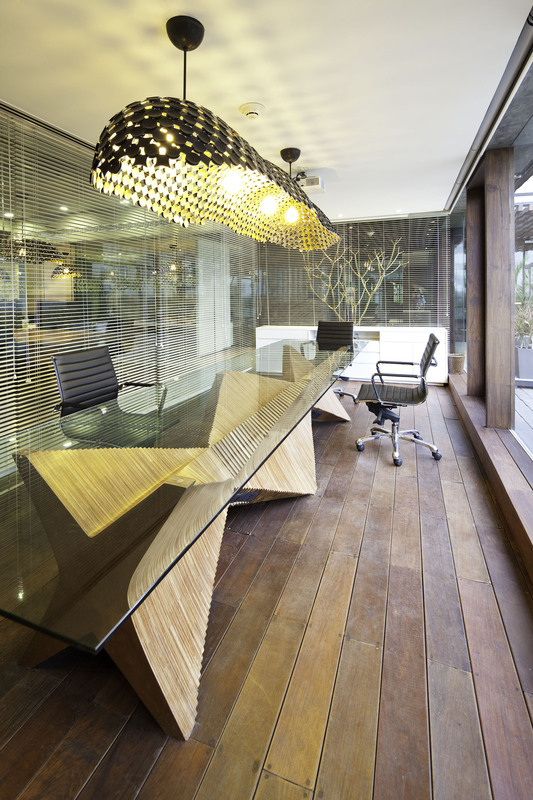 This arrangement offers a feeling of privacy and yet retaining transparency. 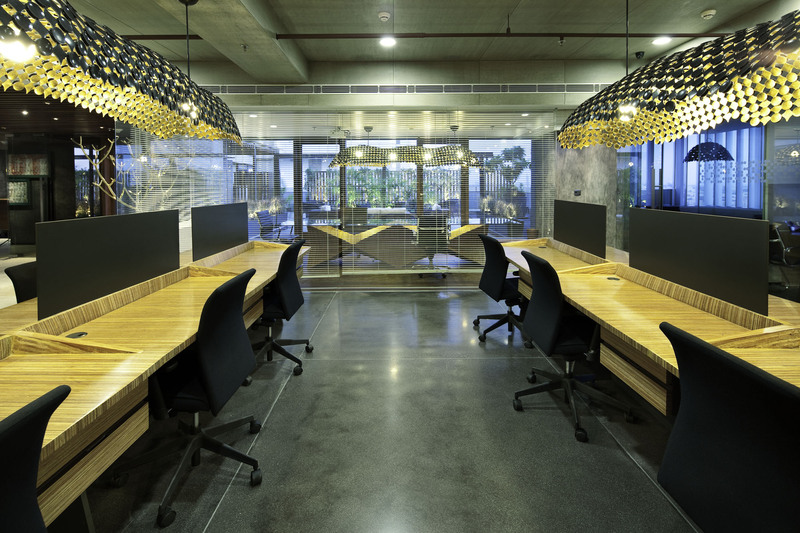 The cool palette of grey stained cement board, poured concrete and glass becomes a frame for the sculpted furniture in CNC cut stacked plywood and hand cast custom designed, brass suspended lamps.